The thought of walking in a tunnel, all darkened, quite and perhaps echoing your footsteps can be scary. But the wise men say that there is light at the end of it. This has a deep meaning in itself. While we strive for enlightenment, attainment, success and material accomplishments, we often fumble, stumble and fall. Some of us find a treasure while being in the dark, while some have to get out there, find the light and be free. This reminds me of my favourite movie, The Shawshak Redemption, where the protagonist Andy,played by Tim Robbins, finds his way out of the jail by digging a tunnel for 2 decades. If you have seen the movie, you know how filthy it was to make a way out of a narrow gutter, but what lied ahead was what kept him going. I derive immense motivation from this movie, whenever something seem to not be working, not hapenning - I turn on my laptop and tune into it. I know that you do not get what you want in life, you get what you work for. 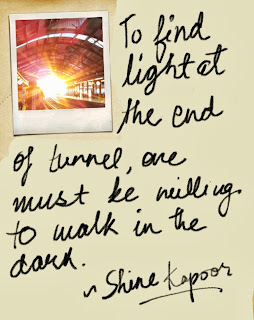 Therefore, to find light at the end of the tunnel, you should be willing to walk in the dark, perhaps walk alone. 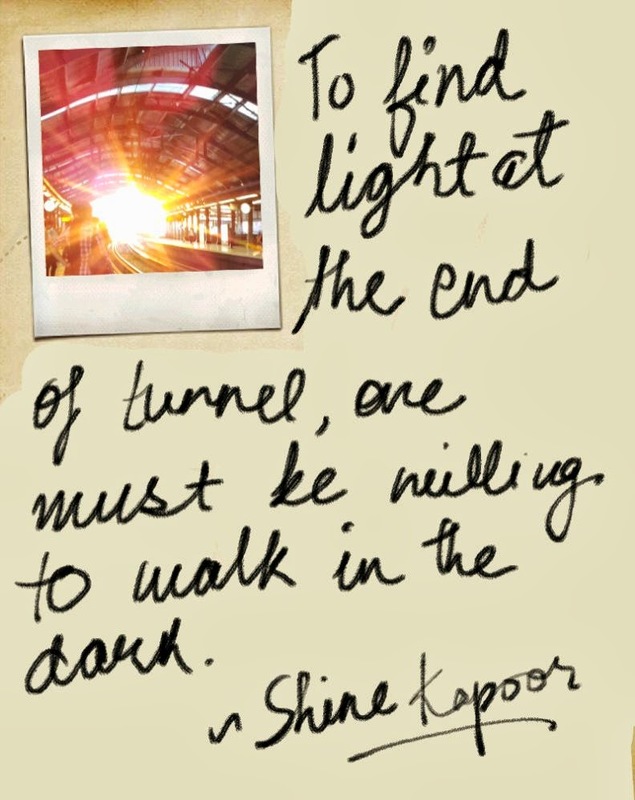 The light that is at the end of tunnel awaits you, get up and do something about it. God might have a plan for each one of us but we have to execute it to make it happen. The tough times are just signals from thee almighty! Another positive post... While going through tough times I feel the same way. They seem Dark tunnel and future seems the hopeful light. We can relate to it or derive motivations from aforesaid. Keep Going and Have Faith. Just keep moving no matter how slow, but staying stationary is not that can ever help. Thanks for your comment!